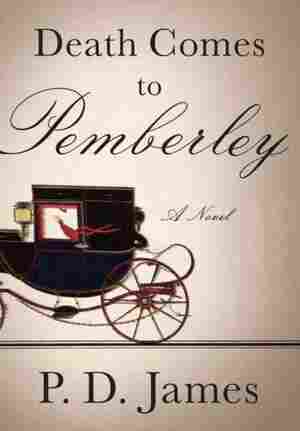 Death Comes To Pemberley NPR coverage of Death Comes to Pemberley by P.D. James. News, author interviews, critics' picks and more. December 8, 2011  What happens next in Pride and Prejudice? Well, if you ask 91-year-old British mystery writer P.D. James, it's a ghastly murder in the Pemberley woodlands. James was surprised she wanted to write a sequel: "I had never thought that I would ever want to use somebody else's characters," she says. November 28, 2011  Mystery writer P.D. James, now 91, has written a suspenseful sequel to Jane Austen's classic. Death Comes to Pemberley picks up six years after Elizabeth Bennet and Mr. Darcy have wed. Maureen Corrigan says the story is "a glorious plum pudding of a whodunit." It was generally agreed by the female residents of Meryton that Mr. and Mrs. Bennet of Longbourn had been fortunate in the disposal in marriage of four of their five daughters. Meryton, a small market town in Hertfordshire, is not on the route of any tours of pleasure, having neither beauty of setting nor a distinguished history, while its only great house, Netherfield Park, although impressive, is not mentioned in books about the county's notable architecture. The town has an assembly room where dances are regularly held but no theatre, and the chief entertainment takes place in private houses where the boredom of dinner parties and whist tables, always with the same company, is relieved by gossip. A family of five unmarried daughters is sure of attracting the sympathetic concern of all their neighbours, particularly where other diversions are few, and the situation of the Bennets was especially unfortunate. In the absence of a male heir, Mr. Bennet's estate was entailed on his nephew, the Reverend William Collins, who, as Mrs. Bennet was fond of loudly lamenting, could turn her and her daughters out of the house before her husband was cold in his grave. Admittedly, Mr. Collins had attempted to make such redress as lay in his power. At some inconvenience to himself, but with the approval of his formidable patroness Lady Catherine de Bourgh, he had left his parish at Hunsford in Kent to visit the Bennets with the charitable intention of selecting a bride from the five daughters. This intention was received by Mrs. Bennet with enthusiastic approval but she warned him that Miss Bennet, the eldest, was likely to be shortly engaged. His choice of Elizabeth, the second in seniority and beauty, had met with a resolute rejection and he had been obliged to seek a more sympathetic response to his pleading from Elizabeth's friend Miss Charlotte Lucas. Miss Lucas had accepted his proposal with gratifying alacrity and the future which Mrs. Bennet and her daughters could expect was settled, not altogether to the general regret of their neighbours. On Mr. Bennet's death, Mr. Collins would install them in one of the larger cottages on the estate where they would receive spiritual comfort from his administrations and bodily sustenance from the leftovers from Mrs. Collins's kitchen augmented by the occasional gift of game or a side of bacon. But from these benefits the Bennet family had a fortunate escape. By the end of 1799 Mrs. Bennet could congratulate herself on being the mother of four married daughters. Admittedly the marriage of Lydia, the youngest, aged only sixteen, was not propitious. She had eloped with Lieutenant George Wickham, an officer in the militia which had been stationed at Meryton, an escapade which was confidently expected to end, as all such adventures deserve, in her desertion by Wickham, banishment from her home, rejection from society and the final degradation which decency forbade the ladies to mention. The marriage had, however, taken place, the first news being brought by a neighbour, William Goulding, when he rode past the Longbourn coach and the newly married Mrs. Wickham placed her hand on the open window so that he could see the ring. Mrs. Bennet's sister, Mrs. Philips, was assiduous in circulating her version of the elopement, that the couple had been on their way to Gretna Green but had made a short stop in London to enable Wickham to inform a godmother of his forthcoming nuptials, and, on the arrival of Mr. Bennet in search of his daughter, the couple had accepted the family's suggestion that the intended marriage could more conveniently take place in London. No one believed this fabrication, but it was acknowledged that Mrs. Philips's ingenuity in devising it deserved at least a show of credulity. George Wickham, of course, could never be accepted in Meryton again to rob the female servants of their virtue and the shopkeepers of their profit, but it was agreed that, should his wife come among them, Mrs. Wickham should be afforded the tolerant forbearance previously accorded to Miss Lydia Bennet. There was much speculation about how the belated marriage had been achieved. Mr. Bennet's estate was hardly worth two thousand pounds a year, and it was commonly felt that Mr. Wickham would have held out for at least five hundred and all his Meryton and other bills being paid before consenting to the marriage. Mrs. Bennet's brother, Mr. Gardiner, must have come up with the money. He was known to be a warm man, but he had a family and no doubt would expect repayment from Mr. Bennet. There was considerable anxiety in Lucas Lodge that their son- in- law's inheritance might be much diminished by this necessity, but when no trees were felled, no land sold, no servants put off and the butcher showed no disinclination to provide Mrs. Bennet with her customary weekly order, it was assumed that Mr. Collins and dear Charlotte had nothing to fear and that, as soon as Mr. Bennet was decently buried, Mr. Collins could take possession of the Longbourn estate with every confidence that it had remained intact. But the engagement which followed shortly after Lydia's marriage, that of Miss Bennet and Mr. Bingley of Netherfield Park, was received with approbation. It was hardly unexpected; Mr. Bingley's admiration for Jane had been apparent from their first meeting at an assembly ball. Miss Bennet's beauty, gentleness and the naive optimism about human nature which inclined her never to speak ill of anyone made her a general favourite. But within days of the engagement of her eldest to Mr. Bingley being announced, an even greater triumph for Mrs. Bennet was noised abroad and was at first received with incredulity. Miss Elizabeth Bennet, the second daughter, was to marry Mr. Darcy, the owner of Pemberley, one of the greatest houses in Derbyshire and, it was rumoured, with an income of ten thousand pounds a year. It was common knowledge in Meryton that Miss Lizzy hated Mr. Darcy, an emotion in general held by those ladies and gentlemen who had attended the first assembly ball at which Mr. Darcy had been present with Mr. Bingley and his two sisters, and at which he had given adequate evidence of his pride and arrogant disdain of the company, making it clear, despite the prompting of his friend Mr. Bingley, that no woman present was worthy to be his partner. Indeed, when Sir William Lucas had introduced Elizabeth to him, Mr. Darcy had declined to dance with her, later telling Mr. Bingley that she was not pretty enough to tempt him. It was taken for granted that no woman could be happy as Mrs. Darcy for, as Maria Lucas pointed out, "Who would want to have that disagreeable face opposite you at the breakfast table for the rest of your life?" But there was no cause to blame Miss Elizabeth Bennet for taking a more prudent and optimistic view. One cannot have everything in life and any young lady in Meryton would have endured more than a disagreeable face at the breakfast table to marry ten thousand a year and to be mistress of Pemberley. The ladies of Meryton, as in duty bound, were happy to sympathise with the afflicted and to congratulate the fortunate but there should be moderation in all things, and Miss Elizabeth's triumph was on much too grand a scale. Although they conceded that she was pretty enough and had fine eyes, she had nothing else to recommend her to a man with ten thousand a year and it was not long before a coterie of the most influential gossips concocted an explanation: Miss Lizzy had been determined to capture Mr. Darcy from the moment of their first meeting. And when the extent of her strategy had become apparent it was agreed that she had played her cards skilfully from the very beginning. Although Mr. Darcy had declined to dance with her at the assembly ball, his eyes had been frequently on her and her friend Charlotte who, after years of husband-seeking, was extremely adroit at identifying any sign of a possible attachment, and had warned Elizabeth against allowing her obvious partiality for the attractive and popular Lieutenant George Wickham to cause her to offend a man of ten times his consequence. And then there was the incident of Miss Bennet's dinner engagement at Netherfield when, due to her mother's insistence on her riding rather than taking the family coach, Jane had caught a very convenient cold and, as Mrs. Bennet had planned, was forced to stay for several nights at Netherfield. Elizabeth, of course, had set out on foot to visit her, and Miss Bingley's good manners had impelled her to offer hospitality to the unwelcome visitor until Miss Bennet recovered. Nearly a week spent in the company of Mr. Darcy must have enhanced Elizabeth's hopes of success and she would have made the best of this enforced intimacy. Subsequently, at the urging of the youngest Bennet girls, Mr. Bingley had himself held a ball at Netherfield, and on this occasion Mr. Darcy had indeed danced with Elizabeth. The chaperones, ranged in their chairs against the wall, had raised their lorgnettes and, like the rest of the company, studied the pair carefully as they made their way down the line. Certainly there had been little conversation between them but the very fact that Mr. Darcy had actually asked Miss Elizabeth to dance and had not been refused was a matter for interest and speculation. The next stage in Elizabeth's campaign was her visit, with Sir William Lucas and his daughter Maria, to Mr. and Mrs. Collins at Hunsford Parsonage. Normally this was surely an invitation which Miss Lizzy should have refused. What possible pleasure could any rational woman take in six weeks of Mr. Collins's company? It was generally known that, before his acceptance by Miss Lucas, Miss Lizzy had been his fi rst choice of bride. Delicacy, apart from any other consideration, should have kept her away from Hunsford. But she had, of course, been aware that Lady Catherine de Bourgh was Mr. Collins's neighbour and patroness, and that her nephew, Mr. Darcy, would almost certainly be at Rosings while the visitors were at the parsonage. Charlotte, who kept her mother informed of every detail of her married life, including the health of her cows, poultry and husband, had written subsequently to say that Mr. Darcy and his cousin, Colonel Fitzwilliam, who was also visiting Rosings, had called at the parsonage frequently during Elizabeth's stay and that Mr. Darcy on one occasion had visited without his cousin when Elizabeth had been on her own. Mrs. Collins was certain that this distinction must confirm that he was falling in love and wrote that, in her opinion, her friend would have taken either gentleman with alacrity had an offer been made; Miss Lizzy had however returned home with nothing settled. But at last all had come right when Mrs. Gardiner and her husband, who was Mrs. Bennet's brother, had invited Elizabeth to accompany them on a summer tour of pleasure. It was to have been as far as the Lakes, but Mr. Gardiner's business responsibilities had apparently dictated a more limited scheme and they would go no further north than Derbyshire. It was Kitty, the fourth Bennet daughter, who had conveyed this news, but no one in Meryton believed the excuse. A wealthy family who could afford to travel from London to Derbyshire could clearly extend the tour to the Lakes had they wished. It was obvious that Mrs. Gardiner, a partner in her favourite niece's matrimonial scheme, had chosen Derbyshire because Mr. Darcy would be at Pemberley, and indeed the Gardiners and Elizabeth, who had no doubt enquired at the inn when the master of Pemberley would be at home, were actually visiting the house when Mr. Darcy returned. Naturally, as a matter of courtesy, the Gardiners were introduced and the party invited to dine at Pemberley, and if Miss Elizabeth had entertained any doubts about the wisdom of her scheme to secure Mr. Darcy, the first sight of Pemberley had confirmed her determination to fall in love with him at the first convenient moment. Subsequently he and his friend Mr. Bingley had returned to Netherfield Park and had lost no time in calling at Longbourn where the happiness of Miss Bennet and Miss Elizabeth was finally and triumphantly secured. The engagement, despite its brilliance, gave less pleasure than had Jane's. Elizabeth had never been popular, indeed the more perceptive of the Meryton ladies occasionally suspected that Miss Lizzy was privately laughing at them. They also accused her of being sardonic, and although there was uncertainty about the meaning of the word, they knew that it was not a desirable quality in a woman, being one which gentlemen particularly disliked. Neighbours whose jealousy of such a triumph exceeded any satisfaction in the prospect of the union were able to console themselves by averring that Mr. Darcy's pride and arrogance and his wife's caustic wit would ensure that they lived together in the utmost misery for which even Pemberley and ten thousand a year could offer no consolation. Allowing for such formalities without which grand nuptials could hardly be valid, the taking of likenesses, the busyness of lawyers, the buying of new carriages and wedding clothes, the marriage of Miss Bennet to Mr. Bingley and Miss Elizabeth to Mr. Darcy took place on the same day at Longbourn church with surprisingly little delay. It would have been the happiest day of Mrs. Bennet's life had she not been seized with palpitations during the service, brought on by fear that Mr. Darcy's formidable aunt, Lady Catherine de Bourgh, might appear in the church door to forbid the marriage, and it was not until after the final blessing that she could feel secure in her triumph. It is doubtful whether Mrs. Bennet missed the company of her second daughter, but her husband certainly did. Elizabeth had always been his favourite child. She had inherited his intelligence, something of his sharp wit, and his pleasure in the foibles and inconsistencies of their neighbours, and Longbourn House was a lonelier and less rational place without her company. Mr. Bennet was a clever and reading man whose library was both a refuge and the source of his happiest hours. He and Darcy rapidly came to the conclusion that they liked each other and thereafter, as is common with friends, accepted their different quirks of character as evidence of the other's superior intellect. Mr. Bennet's visits to Pemberley, frequently made when he was least expected, were chiefly spent in the library, one of the finest in private hands, from which it was difficult to extract him, even for meals. He visited the Bingleys at Highmarten less frequently since, apart from Jane's excessive preoccupation with the comfort and well- being of her husband and children, which occasionally Mr. Bennet found irksome, there were few new books and periodicals to tempt him. Mr. Bingley's money had originally come from trade. He had inherited no family library and had only thought of setting one up after his purchase of Highmarten House. In this project both Darcy and Mr. Bennet were very ready to assist. There are few activities so agreeable as spending a friend's money to your own satisfaction and his benefit, and if the buyers were periodically tempted to extravagance, they comforted themselves with the thought that Bingley could afford it. Although the library shelves, designed to Darcy's specification and approved by Mr. Bennet, were as yet by no means full, Bingley was able to take pride in the elegant arrangement of the volumes and the gleaming leather of the bindings, and occasionally even opened a book and was seen reading it when the season or the weather was unpropitious for hunting, fishing or shooting. 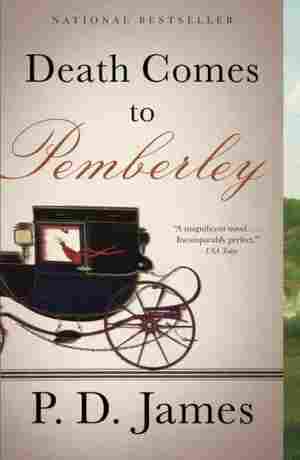 Excerpted from Death Comes to Pemberley by P. D. James. 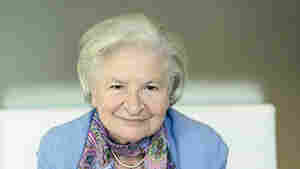 Copyright 2011 by P. D. James. Excerpted by permission of Knopf, a division of Random House, Inc. All rights reserved. No part of this excerpt may be reproduced or reprinted without permission in writing from the publisher.